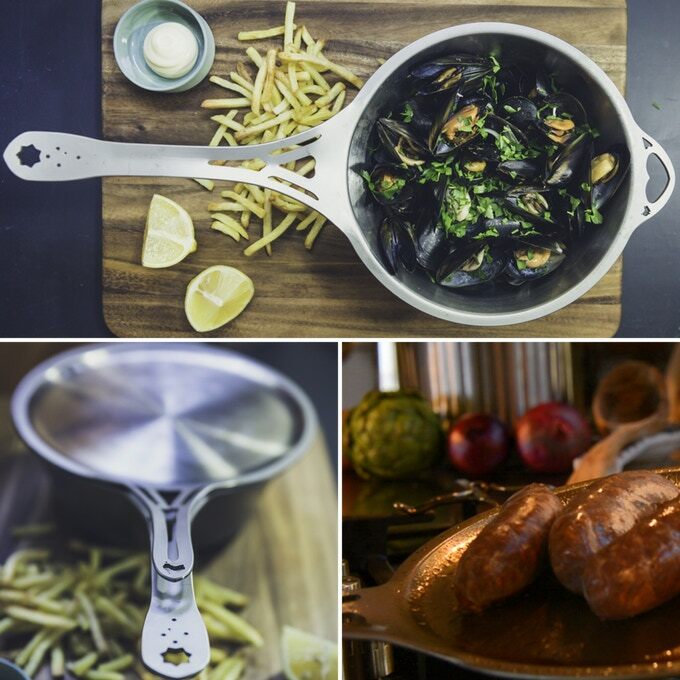 We want to thank all those crowdfunders who supported this revolutionary nöni cookware, that is truly made to last the test of time and designed to be the only stainless steel cookware you’ll ever need, for generations. 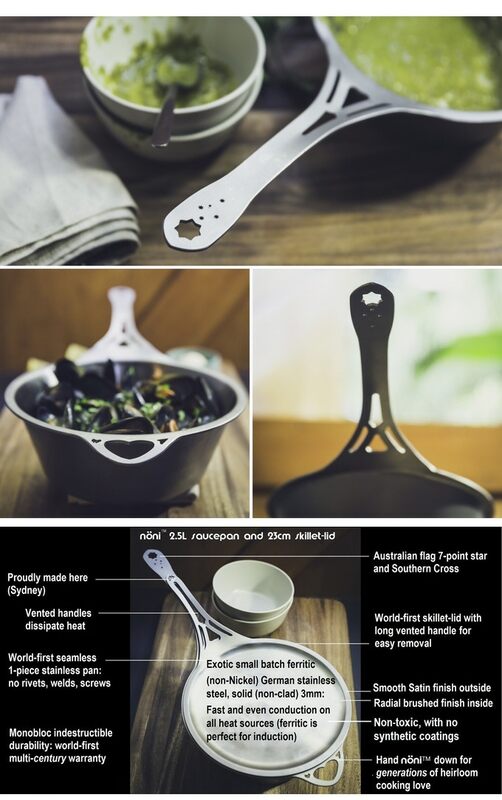 Led by crowdfunding backers in Australia and the United States, more than $265,000 was invested in SOLIDteknics nöni cookware during its highly successful campaign on Kickstarter. The introduction of nöni stainless steel represents SOLIDteknics tenth successful crowdfunding campaign, after nine featuring innovative iron cookware. Henry said cooks at home and professional chefs alike can continue purchasing the company’s iron cookware through the SOLIDteknics website, which also lists several retailers that carry their other products, but he explains that nöni cookware line is only be available on Kickstarter for now. 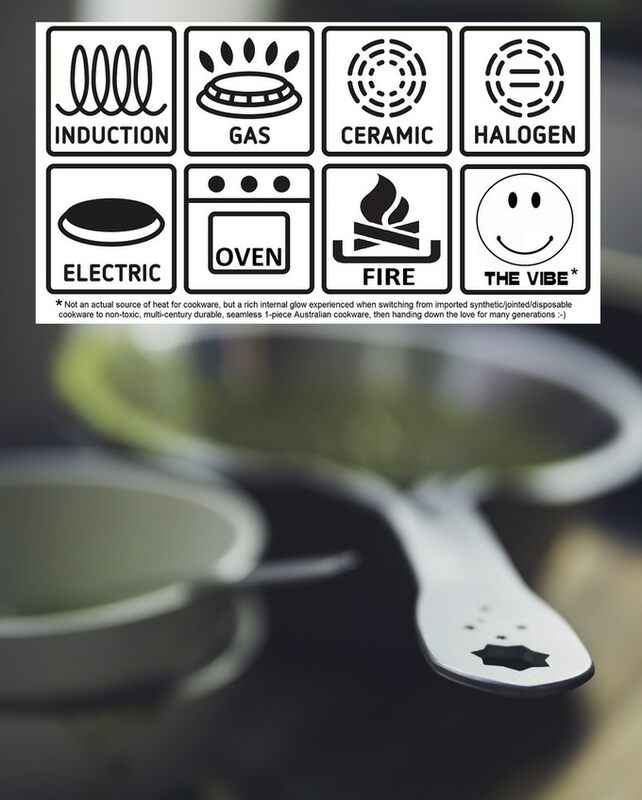 nöni are high performance chef pans wrought in one piece in Sydney from exotic German ferritic stainless – noted for its highly conductive, induction-compatible, non-nickel stainless (not the more common non-magnetic austenitic). nöni features handles that are integral with the pan body, with no rivets, welds, screws, or fragile clad layers – and each lid doubles as a high-performance flat skillet for grilling. 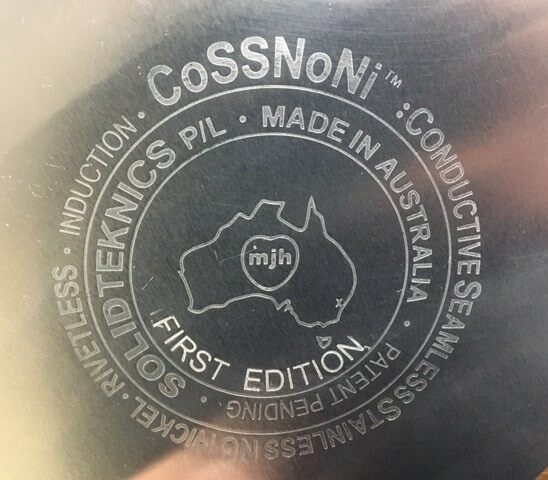 Their patent-pending, world-first seamless one-piece construction makes SOLIDteknics nöni pans so tough that they come with a multi-century warranty – another first in the world for cookware. “With the nöni pan, you’re not just buying cookware but a treasured family heirloom that will be enjoyed for years to come,” Henry said. 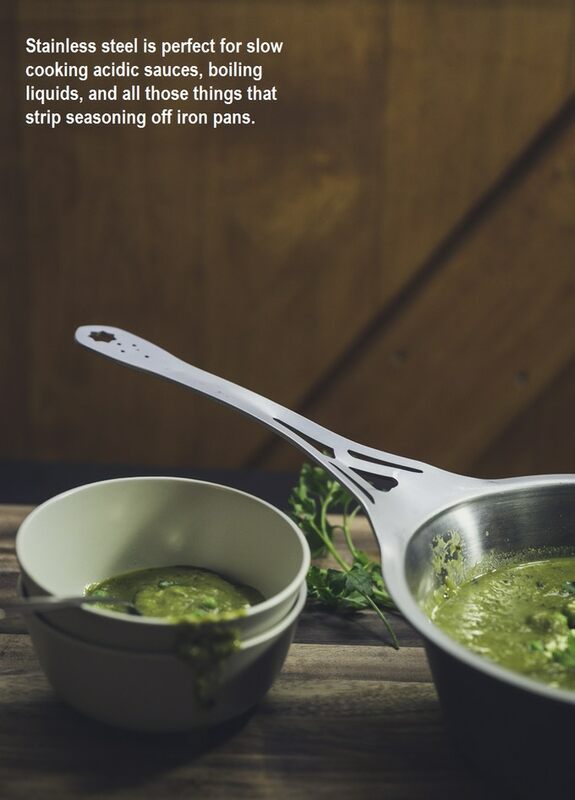 For more information on SOLIDteknics cookware, and to keep appraised of the next nöni cookware campaign on Kickstarter, visit their website and sign up for their newsletter at http://www.solidteknics.com/contact. Mark James Henry has a background in the metal trades, mechanical engineering and business degrees, and a string of patents, long history of innovation and brand development, including Innovivant, Füritechnics, Füri knives and Diamond Fingers sharpeners. SOLIDteknics nöni pans are patent pending with tooling complete, pre-production samples exciting the experts, and production ready to go. For more information, visit http://www.solidteknics.com/.